Despite fluctuations in the economy, remodeling spending has continued to increase over the past several years. According to the Remodeling Futures Program at Harvard University’s Join Center for Housing Studies, the average amount spent for homeowner and rental improvement repair has risen from $276 billion in 2011, to $284 billion in 2012, and to an estimated $317 billion in 2013. With this trend, remodeling spending is only expected to increase further in 2014. This is partly due to a consistent number of kitchen and bathroom renovation projects. According to research provided by Houzz, the leading platform for home remodeling and design, U.S. homeowners spent an average of $28,030 to remodel their kitchens in the past five years. Nationally, the costs differ widely at varying budget levels, ranging from $54,942, the average cost of a higher-budget kitchen, to $7,133, the average cost of a lower-budget kitchen. No matter what your budget, you may be one of many Americans who has a kitchen remodeling project in mind for 2014. If you’re looking for how to get the biggest update for your budget, consider incorporating some of the top kitchen design trends for 2014 into your renovations! Color is one of the easiest ways to update a space. Neutral pallets continue to dominate the design world. Think about the largest areas in your kitchen: the counter tops, the cabinets, the walls, and the floor. Keep these areas in a neutral or monochrome color scheme. If you want to add pops of color, do so in the smaller details. There is one classic color combination that never goes out of style and is particularly popular for 2014: black and white. There is nothing as clean and crisp as the contrast between black countertops and white cabinets! Updating your fixtures is another easy way to modernize a space. Sinks are one kitchen fixture you might want to consider changing because kitchen sink styles are constantly evolving. 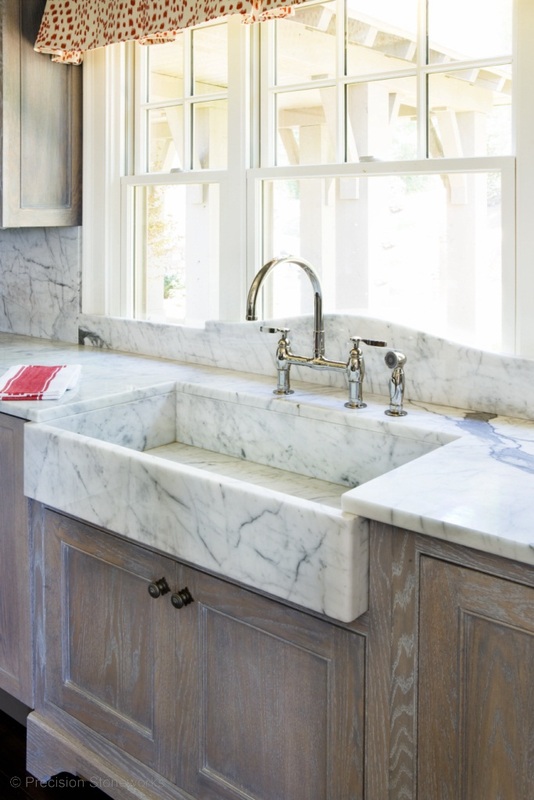 Currently, the cleaner, simpler lines of apron or farmhouse sinks are popular. Stainless steel continues to be the preferred material for kitchen sinks, with porcelain enamel coming in at a distant second. Granite composite is currently the third most preferred kitchen sink material, and it is expected to grow in popularity in 2014. Coordinate your lighting and cabinet hardware with your sink material for an instant kitchen update. 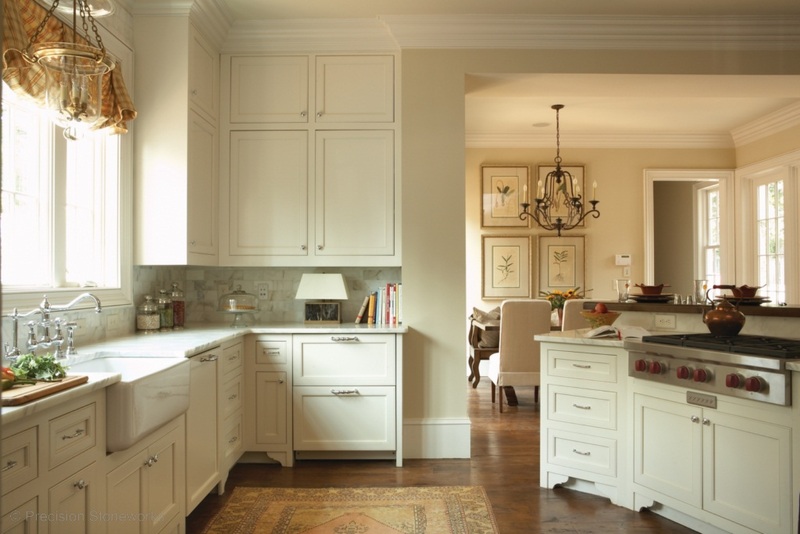 Reorganizing your kitchen is another option to consider when remodeling. If your space allows, adding designated places for pets and electronics or a kitchen island are two popular design trends for 2014. Desks or home office areas that provide an organized space for electronics, supplies, crafts, or pets may be easily integrated into your kitchen space. A kitchen island is another multipurpose area that presents a huge opportunity for a kitchen renovation. An island could be used for something as simple as additional counter space and storage or it could incorporate a dining area or workspace into the kitchen. The possibilities are endless! If you’re looking to splurge on your kitchen renovations, consider the ultimate chef and entertaining haven: an outdoor kitchen. 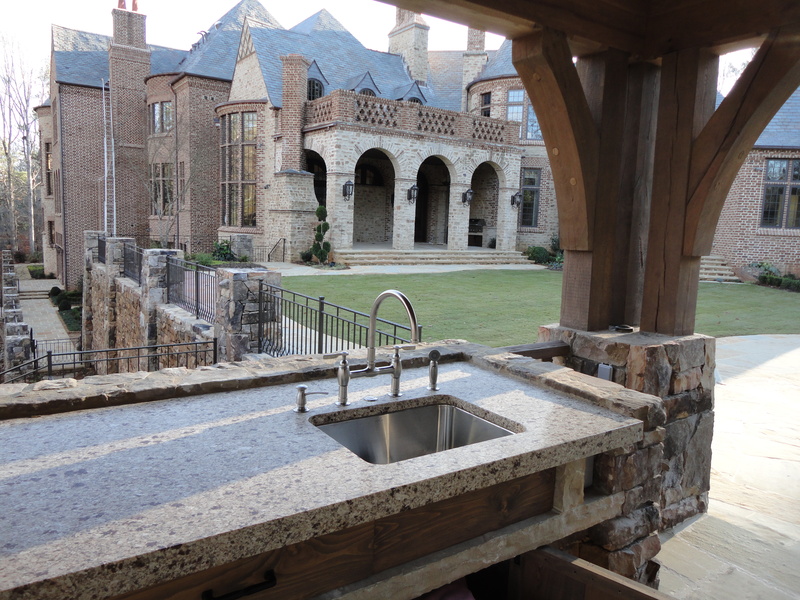 As the warmer months approach, the popularity of outdoor kitchens grows. If it fits into your floor plan and budget, and outdoor kitchen is an ideal showpiece for any home and any entertainer. If changing your countertops is part of your kitchen renovation project, please contact us at Precision Stoneworks for your remodeling needs. According to the Fall 2013 Kitchen Trends Study* by Houzz, 94% plan to update their kitchen countertops. Of those planning to change their kitchen countertops, 50% prefer granite while 36% prefer quartz countertops. 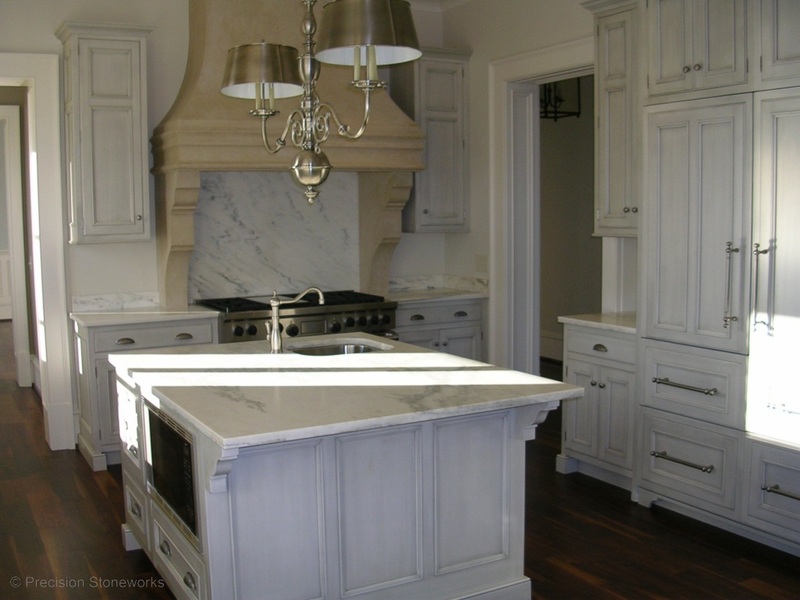 Granite and quartz both continue to be the most widely used types of kitchen countertops. Whether you’re looking for a striking new color for your counters, an updated sink style, a multipurpose kitchen island to reorganize your space, or an all new outdoor kitchen, we can assist you with all your renovations! *The Fall 2013 Kitchen Trends Study included 7,812 homeowners and registered Houzz users in the U.S. and Canada who are in the midst of or planning a kitchen remodeling project.